the utube videos are blank on my computer, is this new?? this is the knot I was impressed with. I think I said this before in another post on the FG knot......but why don't you guys try a Huffnagle knot? It's been around for decades. It is MUCH faster to tie and uses the same "Rizzuto" finish that y'all are so crazy about (and with good reason). The Rizzuto finish has been around for about 40 years, back when I learned how to tie the Huffnagle. It is better described as a whip finish, as literally this is what you are doing. So this guy Rizzuto really didn't invent anything. For the rest of you guys who are having issues with fraying tag ends, noisy knots, etc., Loon Products makes a compound called "Knot Sense," a clear polymer-like material that can be used to coat the knot, covering the tag ends and all. It's a little pricey, so those on a tight budget can also buy a tube of Pliobond rubber cement and this will do the same thing, except you'll have a knot with a brown coating on it. I think in Texas, you'd do fine with the latter, because we don't have the toothy critters here that prevail in Florida waters. Plus, you're mostly using it on a knot that connects a visible braid to clear mono. permit rat looks like an easy knot, but there is nothing slim about it. That's the only reason for the fg, slim for casting through eyes. Right......but I'll bet the photo of the knot that you saw, was using 60-80 lb. mono as the leader material. The Huffnagle and Slim Beauty knots were both originally designed for fly fishing leaders and the connections of the heavy shock tippets for tarpon. Using either one of these knots, maximized the amount of heavy leader material you could use and still remain within the IGFA parameters for fly fishing. Today this is not nearly as important and you can use a leader as long as you like. More to the point is that the smaller diameters of 20 and 30 lb. mono will make a significantly smaller knot. Hell, my main lines are always mono, so I simply use a surgeon's knot to connect my leaders, and have never had a problem (to date at least) with the knot catching in the guides. That said, my rods also have slightly larger guide and tip top diameters, I guess due to the fact that they are Florida holdovers and in Florida, we use the larger diameter guides/tip tops for the exact reason of being able to pass the knots tied with light line to larger diameter leader materials. For me, the size of the knot isn't the main issue as much as whether the knot has a 'shoulder' or 'bump' in it. I use 20# or 30# braid with 15# or 20# leaders. I tie arm span length leaders and my knots run through all of the guides on every cast. The FG knot is very very slim and lacks any transitional hump or bump in the knot. The FG knot is the only knot I've found so far that satisfies my requirements of knot strength and 'no rod eye pop'. I looked at the Huffnagle and Slim Beauty knots. I can tell from their builds, that both of those knots will have shoulders, bumps, or friction points that I will not like. The Huffnagle looks especially problematic. I've perfected the FG/Rizzuto finish, and really like it. I use a four or five foot 20lb mono leader attached to 8/30 braid, this way I can cut and retie multiple times while wading and still have plenty of leader for fishing. For those of you who tie the FG knot, you do know you have to pull it extremely tight to make it lock correctly. I've seen a few videos of Japanese fishermen using dowels they sell in Japan specifically for this purpose. They sell for around $60 American. I built some myself using wooden dowels and rod shrink wrap and they work fantastic. Cost- about $5 for a 1 1/8 dowel about 3 feet long and about $4 for 36 inches of rod handle shrink wrap. To use, after you've ted the knot, wrap the tag end of the braid around one dowel a few times and the main end of the braid around the other and pull. The larger diameter dowel and the rubber do not damage the braid this way. Last edited by photofishin; 01-21-2019 at 01:19 PM. i break out the tarpon gloves or a rag, but like your method. Those dowel tensioners are nice. Good job. 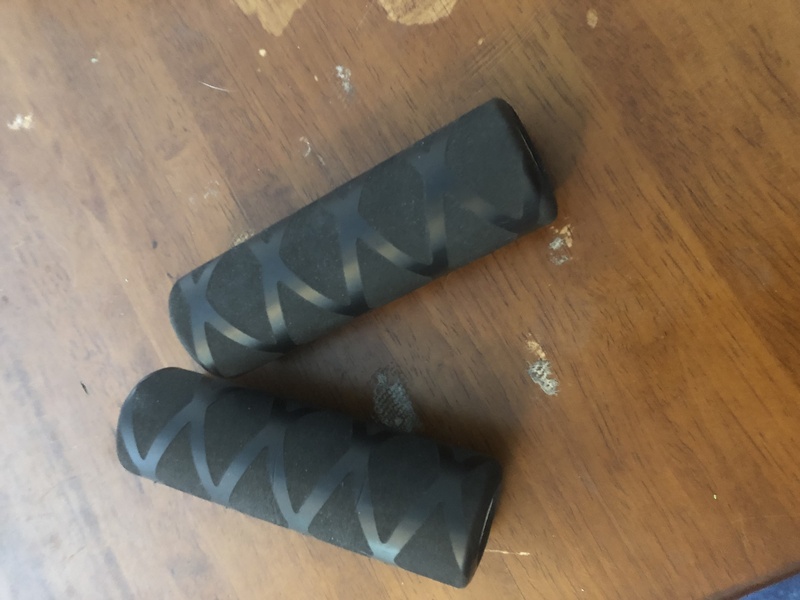 They're small, about fist sized, they have a neoprene coating which helps prevent the line from slipping, and they're inexpensive. These things work great....so good that I've snapped leaders while applying too much tension.